Mix and match with Holstein’s Arepa & Empanada Maker. The multi-functioning maker makes 4 empanadas and 2 arepas. 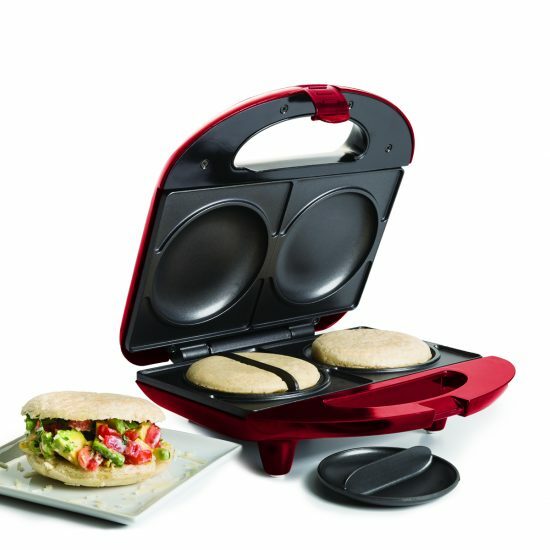 Its inserts, which are included, allows you to have the best of both worlds by allowing you to prepare a combination of healthy empanadas or arepas. In 1, 2, and 3! Your empanadas and arepas are ready to enjoy with friends and family. Simply roll your dough in a ball and place in the center to make arepas and to make empanadas fill your dough and place in the insert. With no oil and no oven you will have plenty of empanadas and arepas to share and enjoy! Tip: Place the dough in the maker while the maker is still cool. Always use pre-cooked ingredients in your filling.